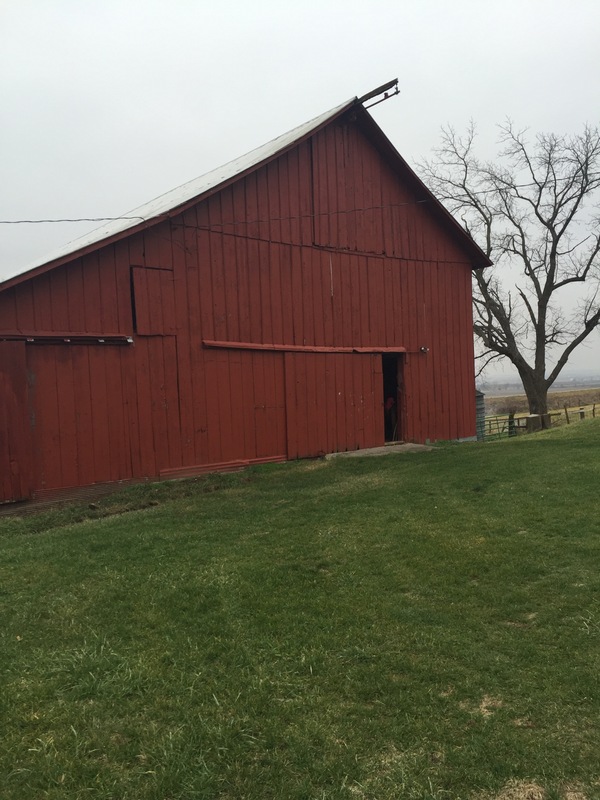 Ever driven by a farm and noticed that the barn was bigger than the farm house? That is definitely the case at my grandparent’s Iowa farm. Their barn is nearly a kingdom on its own. Built over 100 years ago, the red beauty towers over everything. Simply put, it is huge! There is a basement with a dirt floor and two big open doors for bringing in cattle and equipment. The main floor is lined with livestock stalls and it has several storage rooms. There is even enough room to park a vehicle just inside the door. The hay loft was quite a busy place once upon a time, though these days it’s pretty quiet up there. Can you just imagine the undertaking of building such a massive structure in the early 1900’s? The time before nail guns and power tools? Much less constructing something the builders would never even live in? What a testament of faith in the dream of making a living. I love the optimism in that! Just the idea of creating something so beautiful yet functional, to house and protect the investments of good old fashioned hard work. 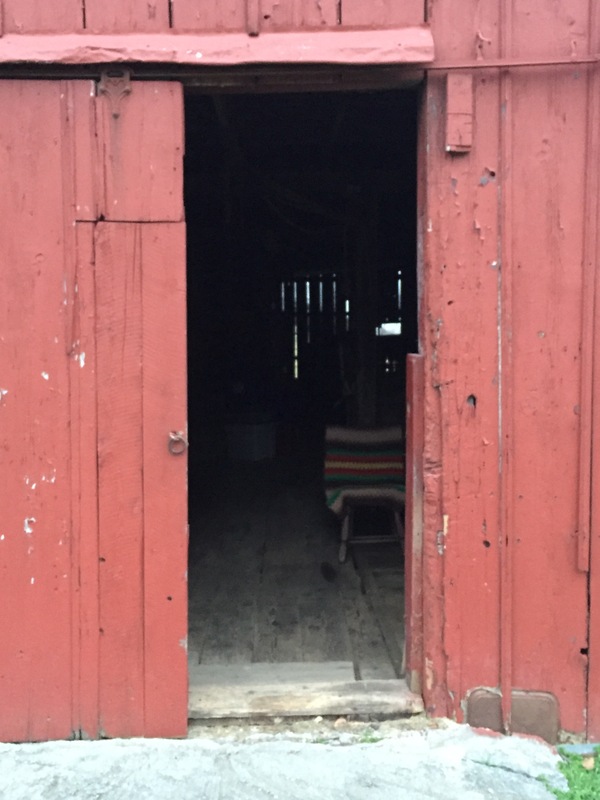 Everything kept in the barn over the years has had the potential for keeping a farm in business and a family fed. From housing the cattle and horses, to protecting the very first tractor that was bought, to storing hay for the animals, the barn has had a very important job. And, even all these years later, it still does it well. The farm has been in the family for nearly 60 years. Countless pictures have been taken of the barn. Lots of feet have crossed the threshold of the giant sliding door. Every time kids, grandkids, and great grandkids go inside, it’s like we almost literally step back in time. What a gift for our children to experience! I can’t remember the first time I saw the barn, but I see the excitement in Little Bit’s eyes every time we slide that door open. We have spent many afternoons in those rooms and climbing the stairs, exploring. One thing I absolutely love about that is, that my dad spent his childhood running in and out of that barn. I spent my childhood running in and out of that barn. Now Little Bit has spent a good chunk of his childhood doing the very same thing. 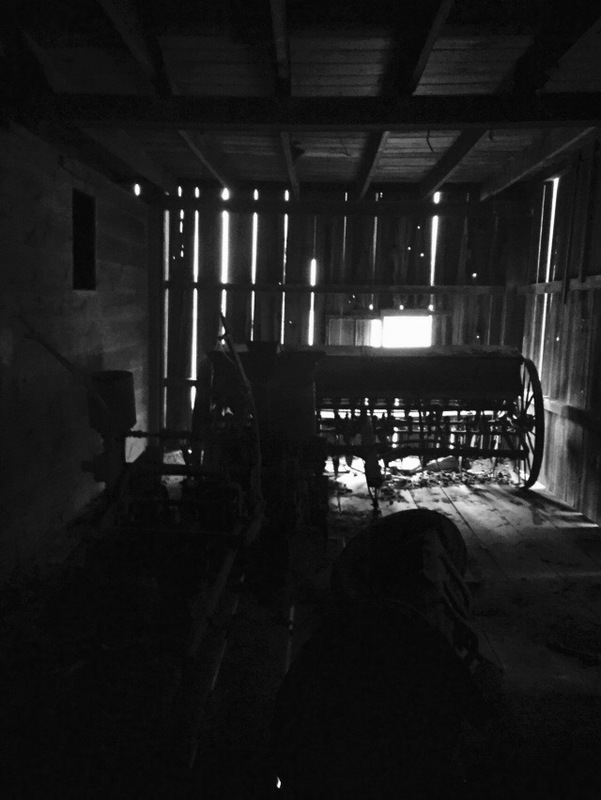 I often wonder how the people all those years ago would feel knowing that the labor of their hard work is still used now, and that essentially because of them, our family has been graced with a lifelong love of the barn. What a beautiful barn and narrative on the value to you and so many others. Both our barn and Grandpa Arleigh’s barn was another home to us kids. Hours spent in what we thought was our palace!! Ha. Thanks for your memories. Awesome, Linda! A palace is a great way to explain it! Love when you share your memories with me! Thank you!